I made another pilgrimage to the USA over the weekend. A friend and I made the short jaunt down the 416 to Ogdensburg which is just on the other side of Prescott, ON. If you haven’t made it down yet, the savings in groceries, gas and online shopping shipping costs is well worth the drive. Plus, every time I’m down I find a few foodie things to share. On a random message board I had seen a recommendation for a Chinese food restaurant called A1 Buffet King which is located in strip mall on Canton Street. I had seen it on my last trip but didn’t look too closely because I needed to save room for the bacon sundae from Burger King. Given that fast food is basically the only option around, even a ‘so so’ Chinese buffet sounded better, especially since the random message board guy had declared it ‘a great deal’. Wow, was he ever right! On a Saturday just after noon, there were only a handful of tables full but everything on the buffet was hot and fresh. 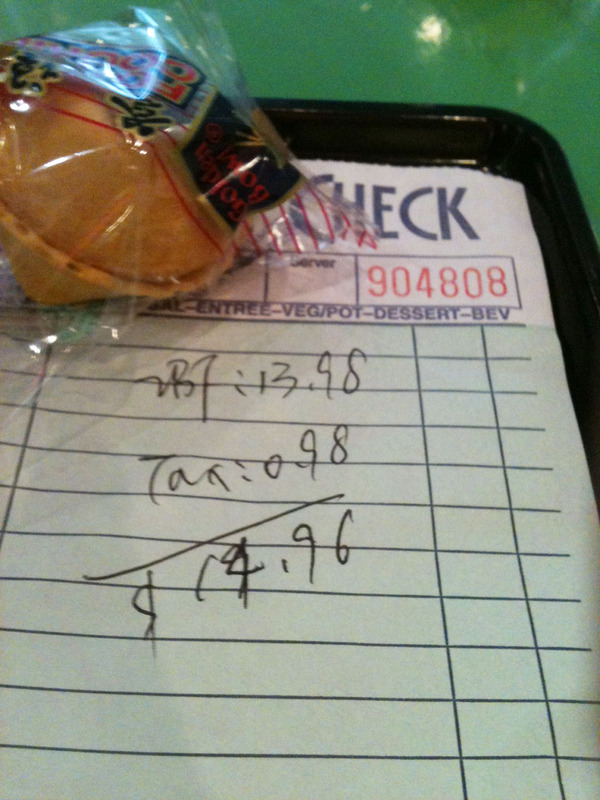 We soon found out why – they also do a brisk business in take out as well. A-1 has the usual suspects – General Tso’s (nice balance of sweet and hot), chicken balls with sweet & sour sauce (fresh not frozen) and stir fried veggies – as well as some different stuff like chicken in a Thai peanut sauce. The shrimp in butter sauce was beautiful – big juicy shrimp and perfectly cooked. They also had the staple of American Chinese buffets – ‘biscuit donuts’ – basically Pillsbury biscuit dough deep fried and coated in butter and white sugar. They sound terrible but wow they’re good. And to top it all off – they had a soft serve ice cream machine. With sprinkles! When your bill for two people looks like this at the end, especially when you’re so full you’re considering a nap in the car after, you really can’t go wrong. Yep, it’s $6.99 per person for lunch, Monday-Saturday. I defy you to find anything like that in Ottawa. Is a Pepsi By Any Other Name, Just as Sweet? Price Chopper had Pepsi products on sale 4 cases of 12 for $10 so I stocked up. 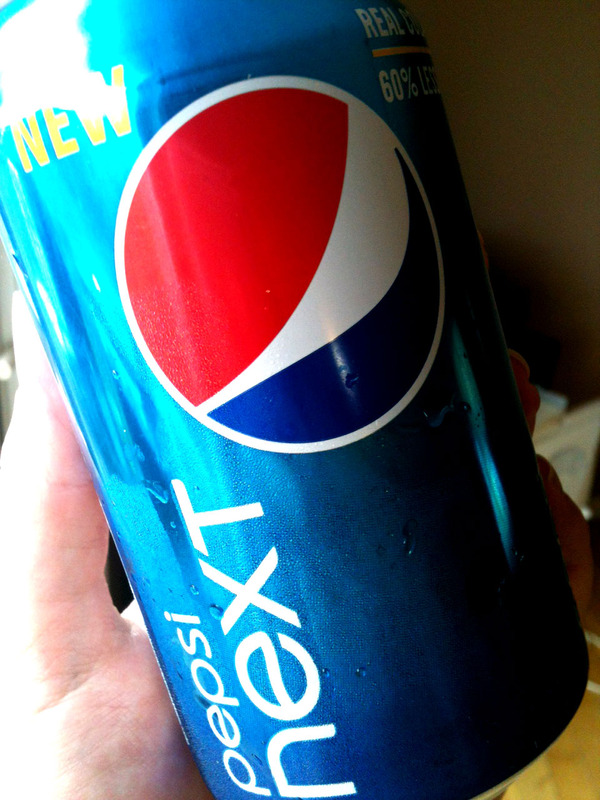 I took a risk and tried a case of a new Pepsi iteration – Pepsi Next. Intended to be a happy middle ground between full-sugar regular Pepsi and Diet Pepsi, it has a blend of corn syrup and faux sweeteners and clocks in at half the calories of a can of ‘high test’ Pepsi. What did it taste like? Well, it tasted like half a regular Pepsi and half of a diet Pepsi in a single can. For those that are trying to cut calories but just can’t stomach diet pop it’s a decent option. Unfortunately, it still had a hint of that gross chemical aftertaste you get with calorie free pop. Nice try Pepsi, but you haven’t found the holy grail here. Are You Friggin’ Kidding Me? If you think that Canadian dollar stores have some odd things in the food aisles, check out what we found at the Dollar Tree. 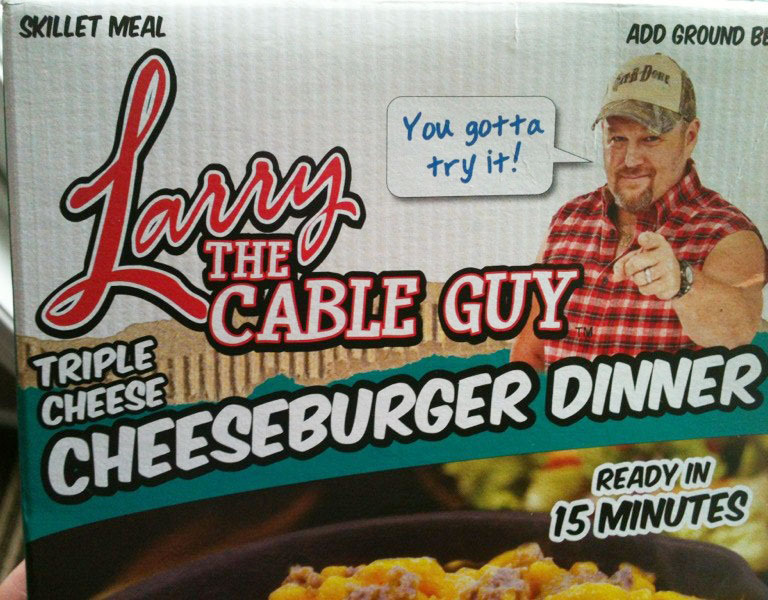 Yes, that’s off-brand Hamburger Helper endorsed by ‘comedian’ Larry The Cable Guy. I had to buy it for its novelty alone because I don’t think I could ever bring myself to actually consume it. Sorry Larry, I don’t ‘gotta try it’. In part one, I talked a bit about American treats that I get nostalgic about as well as some American-only pantry staples. Today I’m going to talk a bit about US shopping options close to Ottawa and why it’s often worth the price of gas and bridge fair to get there. 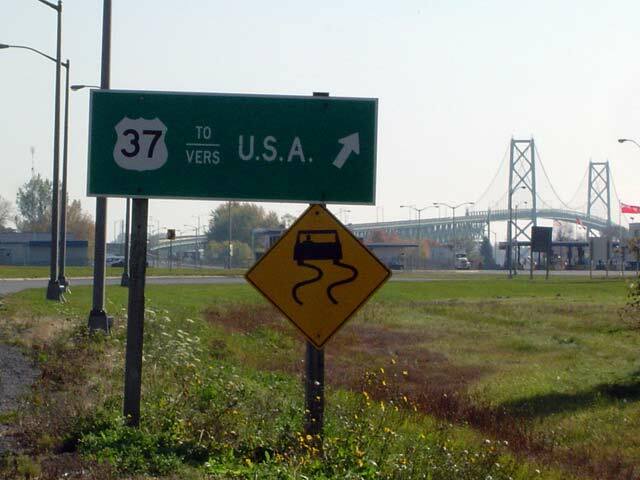 Ogdensburg, NY – A short 1 hour drive down the 416 and over the bridge from Prescott, Ogdensburg is a smallish border town but it has a Lowes’, a Walmart, several options for groceries and pharmacy products and a couple of women’s clothing stores. Watertown, NY – About 2.5 hours from downtown Ottawa and across the Thousand Islands Bridge between Brockville and Gananoque, Watertown has a lot more to offer with a small mall, perennial favourite Target and my personal favourite – Kohl’s. Kohl’s is a department store with great quality and on-trend clothing and home products at excellent prices. If you go, check out the Texas Roadhouse for lunch. They make a mean steak and will stuff you until you’re about to burst. Massena, NY – Massena is 2 hours from Ottawa but a quick 20 minute trip from Cornwall. Similar to Watertown, it has a small mall but lacks some of the big box options like Target and Kohl’s. It does have a Home Depot though as well as several grocery stores and pharmacies. Syracuse, NY – Syracuse is the big daddy of shopping options in the area but it’s also the furthest away – a 3 hour jaunt. It is doable as a day trip, but I like to turn it into an overnighter. They have a large mall, and just about any big box store you could want in nearby Clay, NY. Invariably when I tell some folks I’m planning to make a trip down, they ask me why I’d waste my gas to go down there when Ottawa has a pretty good shopping selection. Two reasons: variety and price. Even with gas and bridge fare, the new personal daily exemption of $200 means I can get a lot of deals without having to pay any duty. Even when you do get dinged for duty because you’ve crammed your car full of ‘deals’, it’s STILL worth it. 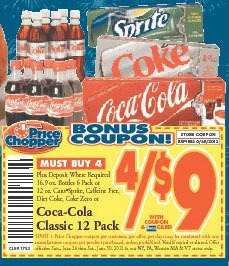 Pop – The pop deal in Canadian flyers lately has been two 12 can cases for $10 – that’s .41 cents/can. At Price Chopper last week I picked up two 24 can cases for $12 – that’s .25 cents/can. This week they’ve got four 12 can cases for $9 – that’s even cheaper! Eggs – Much like milk whose price is regulated in Ontario, eggs are a better deal south of the border. I saw a flyer that was advertising a dozen large eggs for .99 cents and turkey bacon at the same price. You’d be hard pressed to make a $2 breakfast for a large family in Canada unless you served oatmeal. Cool Whip – In my local Independent Grocer, Cool Whip is around $4 Canadian. It’s on sale for $1/tub this week. Yogurt – Single serving greek yogurts are prohibitively expensive here running around $1.70/serving but are usually on 10/$10. You’d save $7 just going for yogurt alone. Old Bay seasoning – A hard to find item in Ottawa (only Sobey’s seems to carry it), a 74 g tin is around $4.70. I picked up a 170 g tin for $4.24. That’s more than double the amount for less money. I also got deals on fresh chicken, jambalaya mix, brownie mix, clothes, toothpaste, makeup and even a bike! Despite the deals, there are some items that are either priced the same in Canada, or are even more expensive in the US. Before you leave, check the flyers (they’re all available online), know your prices for your usual items and know the rules about what you can and cannot bring back.